In his Viewpoint article last week, Tom Mitchell made a heartfelt and sensible plea against hydrocarbon energy systems. Then, towards the end, in a throw-away line, he lumped pipelines, tar sands and fracked LNG with BC Hydro’s Site C. He joined the group of eminent Greens who have donned their ideological blinkers in opposing this project. Even Elizabeth May, a normally intelligent, informed and dynamic leader whom I have been proud to support for many years, while speaking at a town hall meeting on Salt Spring this winter referred to Site C in terms akin to a nuclear reactor in a tar sands pit. David Suzuki, members of the Royal Society of Canada and many other experts have provided analyses that emphasize its negative aspects. So why do I dare to disagree with them all? Simply because without exception, their analyses failed to fully assess the positive aspects of the dam and reservoir over their 70 to 100-year lifetime, but focused primarily on the initial expense, environmental disruption and social issues. These are valid concerns for the first few years of the project, but fail to balance them with longer-term benefits. I’d make the analogy between Site C and human beings. Both have similar lifetimes. In their early years, they poop and scream, exhausting its parents’ resources. They are expensive to shelter, feed and educate and give little back to society. Nonetheless, over their lifetime they create goods, services, artistic works, knowledge, etc. of great value. Similarly for Site C. Yes, the construction is messy but that can be remediated and much will naturally recover. Yes, part of a pretty, agriculturally productive valley will be flooded. If cleared properly prior to filling it, it will not, as some have fear-mongered, generate much in the way of pollutants. The resulting lake will have potential for recreation, tourism and fishing. And, in the very long term, when it finally fills with sediment, the reservoir can be drained and you get your valley back — now wider, flatter and with more good soils. Building the dam and generating station does use a lot of energy, and at present, this has to come largely from hydrocarbons. Concrete, metals, etc. have to be mined, refined, built and processed. The same also is needed for solar, wind or geothermal systems. Hydro-generated energy is renewable and clean, just like those alternatives. Hydro uses solar energy that evaporates the water, adding to its potential energy in rain that fills rivers that flow through the turbines. The biggest advantages hydro has is reliability, instant response to demand and energy storage (the reservoir). Unpredictable mismatch between generation and demand in alternative systems can be corrected with backup systems. For example, in Germany, continuously idling thermal stations burning brown coal (lignite) are needed except on sunny, windy days. Large batteries have also been proposed, however, making the vast quantity needed to match the capacity of the reservoir using current technology requires lithium; a lot of lithium. To see what the largest lithium mine looks like, Google “lithium open pit mine Australia.” Which would you prefer, that or a nice lake? As for the energy itself, Site C is rated at 5100 gigawatt-hours per year. At current rates ($0.10/kilowatt-hour), that is $510 million worth of energy every year for up to 100 years. Sounds like a reasonable return on an investment of $10 to $20 billion. Of course, that revenue comes only if there are customers for the energy. Some studies have indicated there is no need. We in B.C. currently get 60 per cent of our energy from hydrocarbons. To replace all that (as most of us rightly desire) will take more than what Site C will provide. Moreover, rebuilding most of our transportation system, which could be done far cleaner using Site C energy rather than more hydrocarbons, and many other major changes to our society’s infrastructure will be necessary. Finally, there are the social issues. Site C has been a designated project area for decades so it should not come as a great surprise to local residents that it is finally going to be built. The disruption to their lives is nonetheless dreadful and full financial compensation must certainly be made. The loss of scarce farmland is also regrettable. I’m a big fan of the Agricultural Land Reserve, but Mother Nature doesn’t always locate resources where we like. For example, a good number of geothermal sites are in national parks and essential mineral resources can occur anywhere. First Nations’ concerns must also be fully addressed. While I have no right to comment on their spiritual and traditional needs and how they should be met, a respectful compromise might include revenue sharing, assistance in appropriate development around the new lake and other benefits. Conversion to a clean, renewable energy system, supported by Site C, benefits all B.C. residents and contributes to the greening of the whole planet. 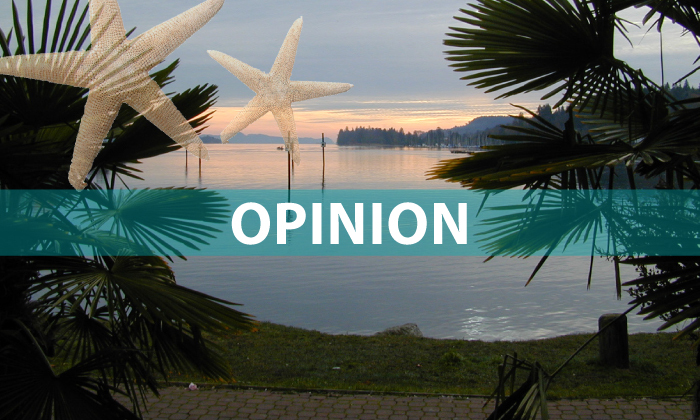 The writer is a scientist emeritus with the Geological Survey of Canada who lives on Salt Spring.